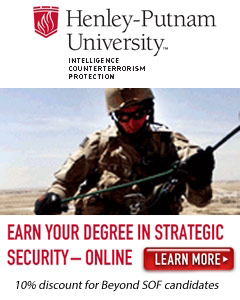 2 yrs, Intel Analyst, TS/SCI/CI POLY, Meade tools (full suite), 35N1O, Home Security, Intel, B.A. 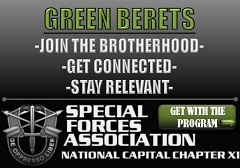 To find out more about Green Beret Foundation, or its programs and services, please visit www.greenberetfoundation.org. Please LOGIN if you already have an account or REGISTER to create a new one. Please contact us for now if you need to. Basic: Post your positions thru our Candidate searchable "Position Builder" which includes your company contact information. 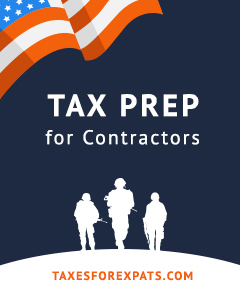 With over 10,000 views a month, this maximizes your position requirement exposure to not only our highly qualified candidates but the entire SOF community and beyond. Initial posting exposure reaches an average of 40,000 people in the DoD, and Inter Agency with the highest exposure being over 70,000 and growing.